I taught my 2nd class on Wednesday 21st Dec…again, unfortunately, only 1 student showed up. I went back to BeYoga and this time i tried out Daniela’s class, Thursday @ 18-19.30, really enjoyed it, it was challenging, different, interesting sequencing and even did some movements and twists i had never done before, i don’t think they’re actual asanas, but they were definitely great to try out…this is definitely a class i will go back to. Oh and she also loves Stewart Gilchrist! God he’s a legend, can’t wait for him to come back to Milan! Come back Quick! I’ve done all of my xmas shopping, bought pretty much everyone prezzies, even sent off xmas cards this year….Just got one last thing to do this afternoon, and then i’m all done! Tomorrow snowboarding all day (if there’s enough snow that is! ), Xmas dinner w/ Mr. Jack & family, then on Xmas Day Xmas Lunch with my family…. Wishing Everyone a Very Merry Christmas & a Happy New Year 2012! 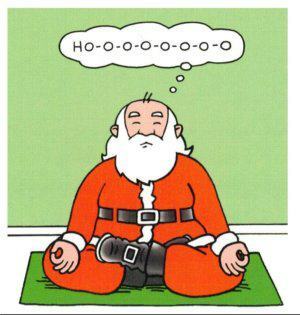 This entry was posted in Christmas, Corsi di yoga a Milano, Milano Italy, Photo of the Day, Vinyasa Flow Yoga, Yoga Dinamico and tagged asanas, gym memberships, happy new year, xmas cards, year 2012. Bookmark the permalink.